While we’re obviously looking forward to Episode IX this year, 2019 is also a special Star Wars anniversary: It’s been 20 years since The Phantom Menace podraced into theaters. As always with Star Wars, that means special merch, and in Episode I’s case, a lot of it is all about Dathomir’s chosen son. There’s plenty of Episode I merch coming to Star Wars Celebration in Chicago next month—we got a little preview of some of it yesterday—but today StarWars.com unveiled a new raft of exclusive merchandise for Celebration, aka, that stuff you paid for a ticket for the chance to...well, pay more money and buy it. 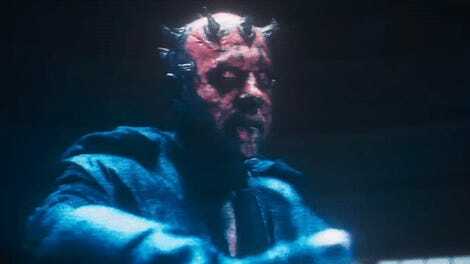 But while The Phantom Menace is a big theme in general for a lot of what we’ve seen so far, it’s Darth Maul in particular that’s standing out. It makes sense, given he is an iconic design, and a character that managed to outgrow the bonds of his tiny, seemingly fatal appearance in The Phantom Menace and live on in the likes of Clone Wars, Rebels, and Solo. But Maul as a medium for the truly wild excess of Star Wars paraphernalia is hilarious to see, stretched as wide as it is for Celebration this year. If you like your Maul fix in plastic, Celebration has you covered. Want a Funko Pop? Sorted. 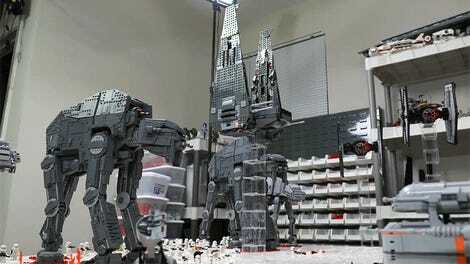 Action figure? We saw it at Toy Fair last month, but Hasbro’s got your back—especially so, given that aside from a few accessories, the real exclusive on its 6" Maul figure is a backing card replicating the iconic original Phantom Menace toy packing, which was Maul-themed. Giant statue of that time Darth Maul was a cyborg Spider nightmare? Okay this is just hilarious. 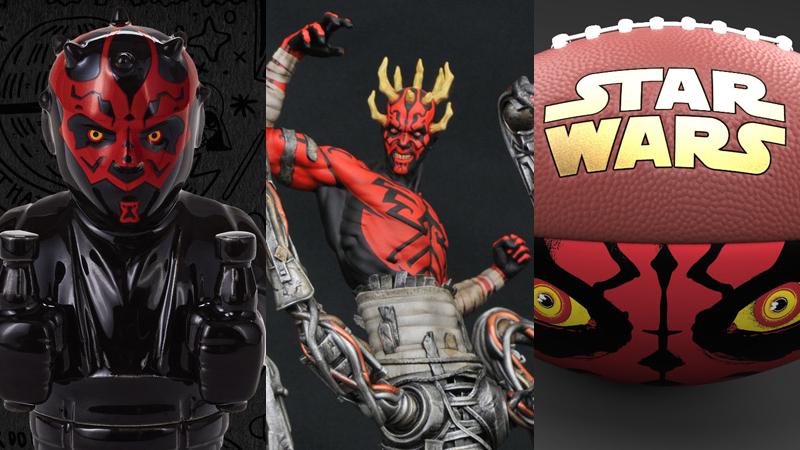 Or, for those more actively inclined, a...Darth Maul football? A footmaul? Look at those eyes! Chilling. I don’t know. Anything that can have Darth Maul’s tattooed mug etched upon it, will have it etched upon it, apparently. More Celebration-exclusive toys and collectibles will be revealed next week, and they’ll likely involve even more Maul merch than you can shake a double-bladed-lightsaber at.